AllCare Orthodontic Center is always proud of the talented support team working together in delivery healthy and beautiful smiles to patients. We are excited to announce that Dr. Angela W. Lu officially joined our team in May 2017. Dr. Angela W. Lu was born in China and grew up in Connecticut where she attended the prestigious all-girls boarding school, Miss Porter’s School. She obtained her Bachelor of Arts in Biological Sciences at Barnard College – Columbia University in New York City’s upper west side. Afterwards,she attended the University of Connecticut School of Dental Medicine where she earned her Doctor of Medical Dentist degree. 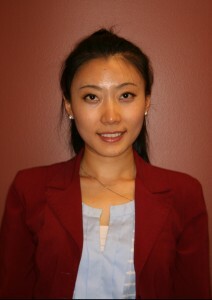 Dr. Lu completed her three-year orthodontic residency at University of Illinois at Chicago. During residency, she focused on accelerated tooth movement through her thesis and received her Master’s degree in Oral Sciences. Dr. Angela W. Lu is passionate and dedicated to the profession of orthodontics. She continues to be involved at the University of Illinois at Chicago throughout the year and is also actively involved in professional organizations. She maintains memberships for local, state and national orthodontic organizations (ADA, AAO, ISDS, CDS, and MSO). Dr. Lu resides in Chicago and is active in her community and church with her boyfriend James. She dedicates time to providing piano accompaniment and leading small groups at her church fellowship. Dr. Lu is fluent in Mandarin Chinese and enjoys cooking, traveling and spending time with family and friends.